Our in-house skilled craftsmen have over 45 years of combined experience restoring lighting fixtures to their original beauty through refinishing, repainting and rewiring. 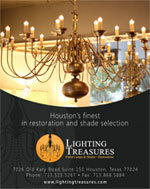 We restore and repair fixtures of every design and scale, from rewiring a lamp to renovating a ballroom chandelier. Whether you bought a lighting fixture in Europe or found an old lamp in your attic, we can rewire it. We will verify the integrity of your fixture so it will be ready to go for safe installation. 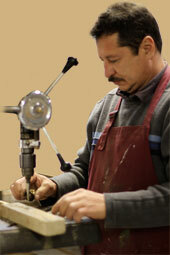 Our craftsmen work with many mediums to replicate finishes unique to lighting fixtures. Their attention to details and commitment to provide superior work is evident by their reputation within their profession. They can refinish metal, wood and plastics. 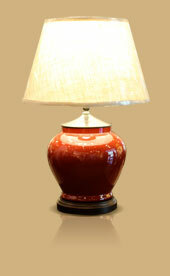 Bring your lamps and lighting to the experts for special care!